Defensive plays paying respectable dividends have been leaders in the market’s rally so far this year. Chasing competitive yields in the current yield-starved environment, investors have been willing to pay extra for stocks that match their expectations for risk-adjusted total returns, including income. As a result, money has flown into stocks that offer security and low-volatility of returns as well as dividend yields above the U.S. Treasury yields. With the 10-Year U.S. Treasury yield hovering around 1.7%, dividend yields of high-quality firms at or above 3.0% look appealing. Here is a closer look at five such stocks representing different industries that could be considered long-term total return plays. Hillenbrand, Inc. (NYSE:HI) is a diversified company providing equipment and systems used in processing applications for a wide range of industrial markets as well as operating a funeral business. It pays a yield of 3.1% on a payout ratio of 41% of the current-year EPS estimate. The company has paid cash dividends since becoming public in 2008; its dividend has increased 6.6% since then. Hillenbrand has grown robustly since 2008, at a revenue CAGR of 19% between 2008 and 2013, including projections for this fiscal year. With the acquisition of Coperion Capital GmbH, a compounding, extrusion and bulk material handling equipment firm, Hillenbrand, Inc. (NYSE:HI)’s revenue mix has shifted from being dominated by the declining U.S. funeral business to being dominated by the process equipment segment. The company’s vision includes adding another platform to the business mix by 2017, in addition to funeral and process equipment segments, and expanding the process equipment segment through tuck-in and adjacent acquisitions. These ambitious objectives bode well for future EPS growth, which analyst estimate at 12.5% annually for the next five years. Hillenbrand, Inc. (NYSE:HI) looks inexpensive at 12.2x forward earnings. Last quarter, it was popular with Diamond Hill Capital. Mattel, Inc. (NASDAQ:MAT), the world’s largest toy maker, yields 3.3% on a payout ratio of 51% of the current-year EPS estimate. Its five-year annualized dividend growth rate is 9.7%. Mattel, Inc. (NASDAQ:MAT) has been successful in growing its business despite declining per capita spending on traditional toys and games in both U.S. and Europe, its principal markets. The company has weathered this adversity by introducing new products lines and cutting costs. In the future, however, growth is expected to come from emerging markets, where per capita toy spending has plenty of room to grow. 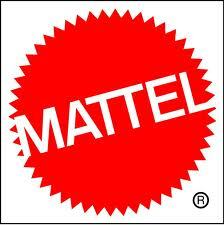 Mattel, Inc. (NASDAQ:MAT) offers a bullish outlook for toy sales in the 2012-2015 period, forecasting global industry growth of 6% per year, 50% above the average rate of growth achieved over the past three years. As regards the near-term trends, Mattel, Inc. (NASDAQ:MAT) has seen fairly robust sales momentum recently, faring better than its peers. It reached record-high gross revenues of $7.1 billion in 2012, implying year-over-year growth of 3%. Last year’s adjusted EPS grew 13%. The company targets mid-single digit growth in revenues, gross margins of about 50%, and operating margins of between 15% and 20%. In terms of valuation, the stock is trading at 15.7x forward earnings, close to its archrival Hasbro (HAS). Last quarter, Mattel, Inc. (NASDAQ:MAT) was popular with Citadel’s Ken Griffin. Cullen/Frost Bankers, Inc. (NYSE:CFR) is a 145-year old financial institution operating in Texas. The bank has paid and increased dividends for 18 consecutive years. It pays a dividend yield of 3.1% on a payout ratio of 49%. Its five-year annualized dividend growth rate is 28.4%. The bank has a number of strengths, including double-digit deposit and loan growth, better asset quality than its peers, and strong capitalization. It boasts strong liquidity, has low funding costs and little long-term debt. Cullen/Frost Bankers, Inc. (NYSE:CFR) was, in fact, one of the first U.S. banks to turn down TARP bailout funds.